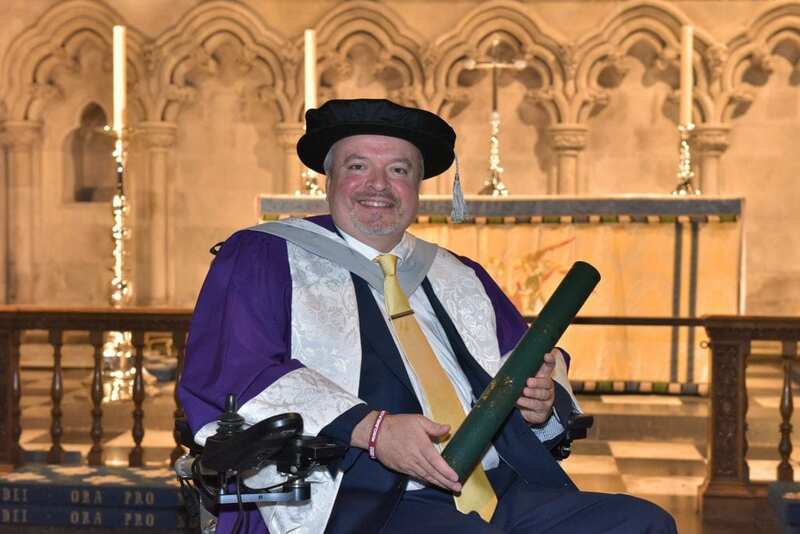 The Muscle Help Foundation’s CEO Michael McGrath has been awarded an Honorary Doctorate from the University of Hertfordshire in recognition of his motivational and inspirational work for persons with disability. 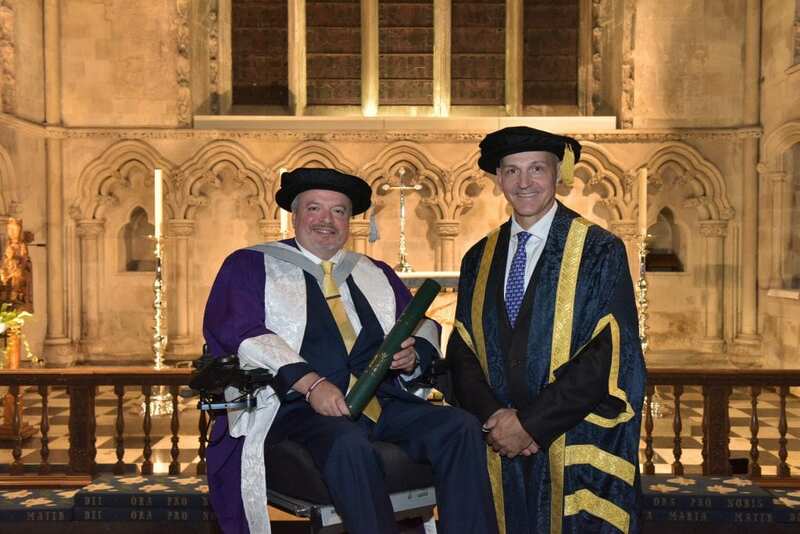 Described as one of the most influential disabled people in Britain, Michael McGrath (pictured below, left, with University of Hertfordshire Vice-Chancellor Quintin McKellar, right) was awarded a Doctor of Arts at a ceremony on Monday 3rd September 2018, held at St Albans Abbey, Hertfordshire. 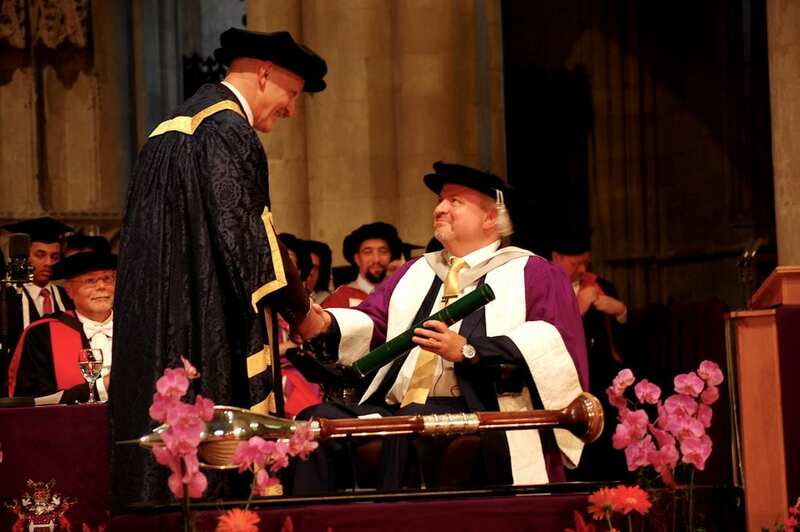 “I am incredibly humbled to receive this honorary doctorate from the University of Hertfordshire. Through the work of my charity and as a speaker, my disability has effectively become a passport for purpose, compassion and hope. My message to today’s Computer Science graduates and young people across the country is simply this: with today’s world of algorithms, artificial intelligence (AI) and the rapid advancement of technology, the discovery of your purpose is vital. Fundamentally, this is about how you contribute in giving that most precious of commodities, your time, to others; this is about embracing the ethic of reciprocity that states ‘treat others as you would like to be treated yourself’ and finally, this is about allowing the virtues of compassion, generosity and kindness to rise up as your personal and professional lives unfold. Michael, who lives near Hertford, faced head-on the challenge of being diagnosed with muscular dystrophy at the age of eighteen and became the first disabled person to lead successful expeditions to both the North and South Poles – the North Pole in April 2002 and the South Pole in January 2004. Since then, Michael has become the driving force behind the Hertfordshire-based charity which helps children and young people with muscular dystrophy to realise their cherished ambitions – experiences in the UK called ‘Muscle Dreams’ that amongst other benefits improves beneficiary confidence, uplifts self-esteem and gives young people a voice. 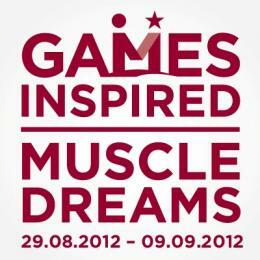 The charity is a three-times winner of the ‘Inspiring Hertfordshire’ Award for Best Social Enterprise of the Year.  Michael is a recognised motivational business speaker and has been widely acknowledged for his achievements and his work. Among other recognitions he has received, for the last three years he has featured in the Power 100 for Britain’s most influential people with a disability and in 2016 he received the Inspiring Communicator National Award. This news item was covered by the publications below; click the logos below for more info.